OR Contact the studio office. Featuring selected pieces the Spirit Lines, Hot Spots, and Breathing Blue series. 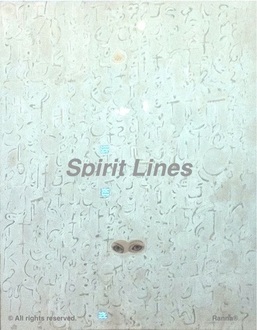 "Spirit Lines" (Verse) by Ranna®. 48" x 60". 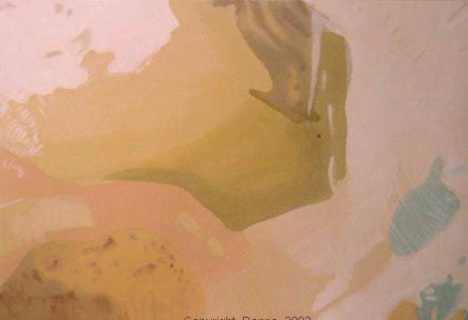 Mixed and refractive media on canvas - ShimmerArt™ technique. © All rights reserved. (Click image for more "Spirit Lines" & Ei-Shodō calligraphic art works. Opens in new window.) POA. "Hot Spots" (15) by Ranna®. 48" x 60". Mixed and refractive media on canvas - ShimmerArt™ technique. © All rights reserved. (Click image for more "Hot Spots" art works. Opens in new window.) POA. 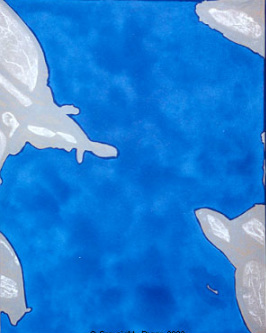 "Breathing Blue" (7) by Ranna®. 52" x 64". Mixed and refractive media on canvas - ShimmerArt™ technique. © All rights reserved. 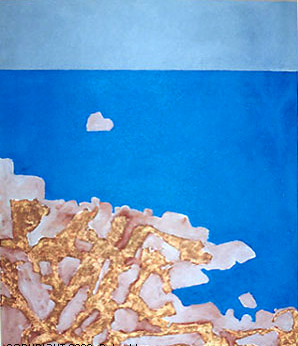 (Click image for more "Breathing Blue" art works & other series. Opens in new window.) POA. FREE SHIPPING FOR MOST OF THE USA. 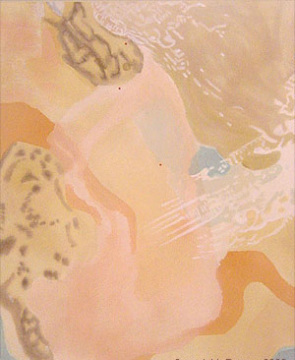 Ei-Shodou artwork in Ranna's signature Shimmer Art™ method, 26.5" x 36". 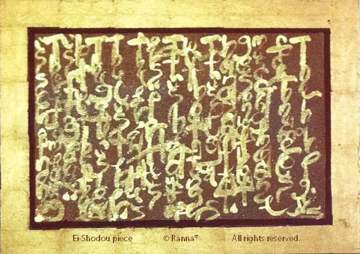 Inscription: verse by Kabir. © Ranna®. PAINTING IS FRAMED with natural maple wood. 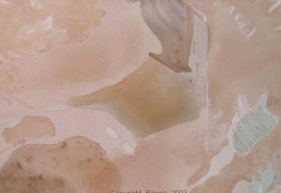 "Hot Spot(s) (12) - Mesopotamia". 65cm x 91cm/ 26.5" x 36", ShimmerArt™ technique. © Ranna®. Shimmer view - i.e. light at 90 degrees to the surface. 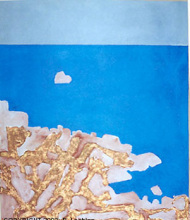 "Breathing Blue (1)", Magnetic Island coast, Pacific blue. 152cm x 122cm/ 60" x 48"; mixed media on canvas - ShimmerArt™ technique. © Ranna®. Shimmer view - i.e. light at 90 degrees to the surface.